These are valuable life science marketing opportunities that can help you increase your short-term and long-term lab product sales in Georgia. Exhibitor product demonstration spaces for these events are quickly selling out, with 11 exhibit spaces left at the University of Georgia and 7 at Emory University. University of Georgia, Athens, faculty ranked 3rd in the nation in research productivity from 2000-09, with data adjusted for acceptance rates to the top four science education journals, and 4th when adjusted for total number of publications. The university also received $7 million from the NIH to study the processes of glycan formation and how they are involved in disease development, potentially leading the way to new therapeutics. This month, the University of Georgia also announced that it will receive $44.7 million toward construction of its Science Learning Center. The 122,500-square-foot facility will add 33 teaching labs to the chemistry, biological sciences, plant biology and physics departments. A new $90 million, 200,000 gross square foot Health Sciences Research Building recently opened on the Emory campus. Emory University continues to rank among the top universities in the nation in NSF funding, with $392,242,000 in total life science research and development expenditures. The building accommodates 75 lead researchers and their teams, a total of more than 500 people. Meeting decision-makers who purchase lab products and supplies has never been easier. Last year’s Athens BioResearch Product Faire™ Event attracted 148 attendees from 22 different research buildings and 30 departments, of whom 29 were purchasing agents, professors and post docs, and 21 were lab managers. Schools represented at the University of Georgia include Agricultural and Environmental Sciences, Pharmacy, Public Health and Veterinary Medicine. 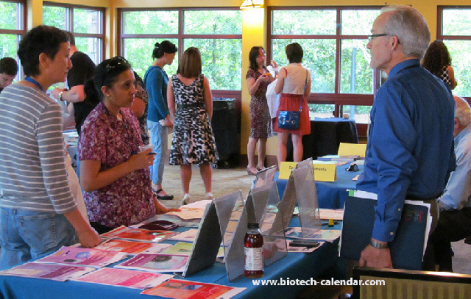 The Atlanta BioResearch Product Faire™ Event brought in 168 attendees in 2013, including 45 purchasing agents, professors and post docs, and 35 lab managers representing 20 research buildings and 32 departments. Life science departments represented at Emory University include biology, chemistry, psychology, neuroscience and behavioral biology. Again this year, face-to-face communication is the best way to educate Georgia life science researchers about the advantages of using your products, determine their needs, answer their questions, and promote your company’s lab supplies. 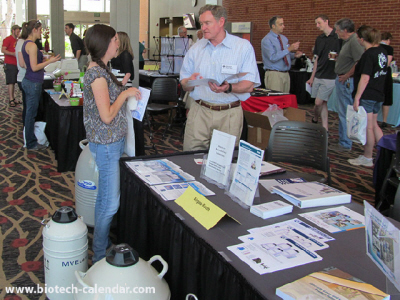 Biotechnology Calendar, Inc. invites you to attend our Athens BioResearch Product Faire™ Event on February 26th, 2014, and the Atlanta BioResearch Product Faire™ Event on February 27th, 2014. 00Space is limited, so register today! Biotechnology Calendar, Inc. is a full-service science research marketing and event-planning company organizing laboratory product expositions at top research institutions across the U.S. Don’t miss out in getting to know these well-funded markets! We encourage you to visit our 2014 Calendar of Events.